St Gemma’s extraordinary life and her heroic practice of virtue greatly inspired all those who came in contact with her. The common thread in the testimonies of those who knew her is that everything about Gemma was extraordinary; her humble and modest appearance (she always wore the same rough, black dress and mantellete) her chaste eyes often cast downwards, her quiet manner--which was the consequence of her constant interior recollection and union with her Jesus, her extraordinary devotion and attention to God, which was seen outwardly whenever one happened to gaze at her during the Mass. Everything about her radiated an exceptional devotion and love for God. And, the more one got to know her, the more one’s admiration for her grew. The heroic virtues that she practiced set the example for others who knew her to imitate and follow. Gemma’s heart was all on fire out of love for Jesus, and those who came near to that furnace were irresistibly warmed by it. And her love consisted of this: to willingly sacrifice and suffer out of love for God for the conversion of sinners and to keep always in mind and heart the Passion of Jesus. And today we have two persons who by witnessing and experiencing Gemma’s extraordinary love for Jesus in their close friendship to Gemma, have been offcially declared "Venerable" are well along on the path to canonization by the Catholic Church- They are Venerable Mother Gemma Eufemia Giannini and Venerable Padre Germano Ruoppolo C.P. Two or three days after the fact, Palmyra visited us with and that was the first time that Gemma came into our house." In that same year in Lucca there was preached by the Passionists a popular mission in preparation for the Holy Year. Gemma confessed by one of the preachers, Padre Gaetano, and spoke to him of the stigmata. The Father asked her if she knew Ms. Cecilia Giannini, and she answered yes, and he then made an appointment with Gemma in our house, so as to have more time to review and discern the extraordinary phenomena of which she had spoken. At this time Gemma was staying with her family which became increasingly difficult because of the extraordinary mystical phenomena that occurred in her was not at all understood or appreciated by her aunts, sisters and brothers. Gemma’s confessor since childhood, Monsignor Giovanni Volpi, auxiliary bishop of the diocese of Lucca, knowing the seriousness of the Giannini family and the climate of spiritual maturity and devotion lived there, asked my aunt Cecilia if it were possible for Gemma to spend her time here. Given my fathers high opinion of Gemma ,Aunt Cecilia proceeded gradually to the final acceptance of Gemma permanently into our home on Via del Seminario. “…Monsignor Volpi finding no way to be able to put Gemma into a convent, gladly took advantage of the opportunity and the ways that were opened by Providence, to recommend to Ms. Cecilia that she could keep her in our house. [...] First Gemma stayed at our house from morning to night, then my aunt began putting a cot in her room for Gemma to sleep with her. Gemma’s family was sorry for losing her, but given the poverty in which they lived, they reluctantly agreed. So, in August 1899 Gemma moved in permanently with us. We were eleven at that time, because Gabriel was born in 1900, and Dad said to his sister [Aunt Cecilia]: "Gemma will be the twelfth child." And Gemma really took part in family life, working in the home, some recreation, the affections, always with much reserve, but full of heart. The life of the entire family continued to flow without disturbance, but all of us children felt a special closeness to this new person so different." Eufemia was conquered by the gentle charm that radiated from this soul who "always spoke little; reserved, and never gave any sign of sadness, quite like us, but the one thing from all others that distinguished her was the presence of God that she always had in herself that radiated all around". Of all her brothers and sisters, Eufemia was the one who had the good fortune to assist her Aunt Cecilia with the recording of the ecstasies of Gemma whenever it was possible. Fortunately for us who read them, Eufemia and Cecilia were able to record a good number of the conversations of Gemma with “her Jesus”. And there certainly had to be established between the two girls a special confidence because Gemma, secretive in all that concerned the extraordinary phenomena which was characterized in her spiritual life, said to her "With you I am not ashamed any more," [referring to the remarkable graces that were given to Gemma that Eufemia occasionally witnessed] and also on another day, upon hearing a conversation between Eufemia and Father Germano, Gemma said: "Let me be with you, so that I might know you better." When Gemma became seriously ill in September, 1902, the majority of the doctors who evaluated her declared that she had tuberculosis, however given the variety of symptoms, several doctors thought it was something new and unknown, but all agreed that there was a good possibility of it being contagious. Therefore the doctors along with Gemma’s spiritual director, Venerable Germanus CP, insisted that Gemma be removed from the large Giannini family, for fear of it spreading to the family members, especially the 12 children. Everyone in the large Giannini family loved Gemma dearly, as is attested and verified in interviews of the official process of Gemma’s canonization. 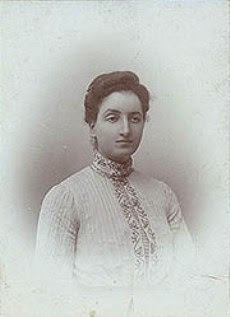 Thus the entire Giannini family protested the request from the doctors to remove Gemma from their home, but after many months of persistence from the doctors, Father Germanus, and others, it was decided that Gemma was to be moved to an apartment across the street from their home on January 24, 1903. "The sacrifice is made ... my angel has gone. This evening she is at the apartment across the street, and already I have made three visits. She embraced me and cried: "Mamma, Mamma, now I have lost a mother twice." Poor martyr! You can imagine, Father, what tears I shed, I could do nothing else; what torment! 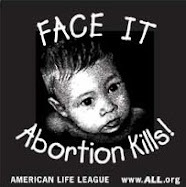 If you knew how unhappy these children here at home are without her. Do write to dear Gemma and console her if you can. . . . Poor little thing! Tonight she is alone, alone with Jesus. She says always, "Jesus only!" Tomorrow after I have gone to Holy Communion, I will bring her coffee as usual. On one occasion, being almost deprived of her senses due to a severe coughing fit that seemed would either choke her, or burst her breast, she said something, but the others nearby did not understand, and then all of a sudden, noticing one of the Gianinni children holding a basin and looking at her compassionately, she looked at her and said “Learn, Euphemia, how Jesus wishes to be loved.” Gemma was to die after much suffering for 9 long months. On the day of her death, Eufemia, kneeling before her with her head bowed down like the Magdalene at the feet of the dying Christ, is holding Gemma's hand pressed to her own breast, and was present at her death, along with most of the members of the Giannini family. Gemma never was given the grace to realize her ardent desire to be Passionist nun. She said however to Euphemia that she would take her place on Calvary, indicating the monastery. At death of St. Gemma there was no Passionist monastery in Lucca. From the close correspondence of Gemma with her spiritual director, Venerable Father Germano, and with her ordinary confessor, Monsignor Giovanni Volpi, we are informed that in one of Gemma’s ecstasies, Jesus had expressed the desire that a Passionist Monastery be established in Lucca soon. Gemma tried in every way to convince the two priests of this project, but their initial caution did not allow it to happen until after Gemma’s birth into heaven. The first Passionist nuns, in fact, arrived in the city of Lucca on March 16, 1905. In July of that year Euphemia asked her father for permission to enter. Mr. Mateo proved reluctant at the beginning, probably to test the consistency of his daughter's desire to embrace a life so austere. Only in November did he grant permission for her to make a spiritual retreat with the nuns. Eufemia participated in these days of intense spirituality with the intention to stay permanently in the monastery, so she had already prepared all documents for her admission. Mr Mateo however would not allow this and went to pick her up before Christmas. Later, however, the good father was convinced that the desire of his daughter coincided with the call of God, so he decided that he would not keep to himself what he had once received as a gift from above, and was ready to give it back, accompanying her to the sacred enclosure of the new Passionist monastery in Lucca on January 8, 1906. Thus began a new life for Euphemia. On March 25, she took upon herself the religious habit, and took the name of Gemma Maddalena -Gemma, the name of the holy friend who showed her how to love Jesus with all her heart, and with the special awareness of the extension of a mission, recalling that when Gemma was dying she had said that she “would take her place on Calvary” and in a moment of great suffering Gemma also said to her: "Eufemia, learn how Jesus is to be loved," and later Father Germano said: "She is the heir of Gemma." And she also chose the name “Maddalena” (Magdalene) for the one spoken of in the Holy Gospel who is the symbol of a desire for a determined conversion, motivated and supported by an most ardent love. On April 11, 1907, the anniversary of the death of Gemma, Gemma Magdalene of Jesus made her religious profession among the cloistered Passionist. The community gave her an early opportunity to bring to fruition the talents she had already received, entrusting to her the training of novices. Her poor health, however, forced her to leave the monastery for a period of care. In 1917 the Passionist Community of Lucca began negotiations for a new foundation in Itri. Because of an illness, the nun chosen as superior could not longer hold the position, and this difficult task was entrusted to Gemma Eufemia, who in 1919 went to Itri. The life of this monastery was brief and troubled and remains one of her bitterest experiences. The situation became intolerable to the point of undermining her already frail physical health, which forced her to think about a transfer. With the obedience of her superiors she was transferred to the monastery of Vignanello in October, 1923. Here she held simple, menial tasks and lived a time of very deep inner peace of which we find in the diary she wrote during this time. In August 1931 she was informed that because of the need to strengthen the community of Lucca in view of the development of devotion to Gemma Galgani now close to beatification, she was selected as an element that could make a valuable help. During this move from one monastery to the other, she asked the General of the Passionists for permission and tickets to attend the hearing of the Pope during the reading of the decree declaring the heroic virtues of her great friend, Gemma Galgani. In November 1931 she came to Lucca, and in June of 1932 she began to experience health problems. Believing that the solution was to go to the more favorable weather climate in Vignanello, she asked permission, which was not allowed. As time went on, the problem of her health continued to be difficult to resolve within the enclosure, so the Sacred Congregation for Religious responded by advising her superiors to have her return to the lay state through a special dispensation from the requirements of monastic life that was taken by her at her profession. Sister Gemma Eufemia would not hear of it, because she thought it a betrayal of the call received by the Father from all eternity, but in subsequent years there were continuous requests by various physicians for change of air in view of healing, so she reluctantly accepted the exclaustration and left the enclosure, remaining very much in spirit a Passionist. She thus begins her pilgrimage of faith to discern whether what seemed at that moment very clearly in her mind was indeed God's will, and not the fruit of her imagination. This time was characterized by her constantly requesting advice and guidance for the next steps. In April 1939 she rented two rooms in the villa of Camigliano, the birthplace of St. Gemma, eight kilometers away from Lucca. It was May 4, 1939 that began the commencement of the new work -Le Sorelle di Santa Gemma (The Sisters of St Gemma), for this is the day when she arrived at the villa Guerra in Camigliano (in the town of Gemma’s birth) with Dorothea Prelovsek, who was her friend and first assistant. In June of that year Elisa Piazzi joined them and thus began to take shape the new community which was dedicated firstly to prayer and then to welcome children for kindergarten and after school care. On May 2,1940 Gemma Galgani was canonized. 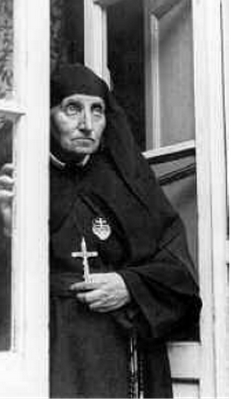 Mother Gemma Eufemia attended the ceremony and was received in private audience by Pope Pius XII. To her question if she should move forward with the work of the foundation of the Sisters of St. Gemma or if she should she return into the former Passionist enclosure, the Holy Father said, "Continue; circumstances will let you know the will of God." Since then, although there were many difficulties she faced, she never stopped on the way; she sincerely believed the Lord wanted this work for His glory and honor of the Church, and especially for the good of those in society who are the most poor and needy. Mother Eufemia Gemma continued forward in the work born in extreme poverty; she became a beggar, and while sick and full of years, she crossed the ocean several times to come to America to seek help. This was the foundation in which the Sisters of St. Gemma, approved as a Pious Association, carried out their work to serve the poor and needy. 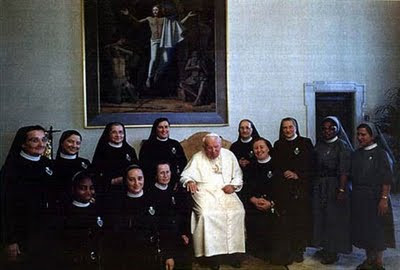 In 1960 the Sisters of Saint Gemma were granted permission by the General of the Passionists to take upon themselves the habit and the hallmarks of the Congregation of the Passion. As we shall see below, it was this same year that she began her progressive paralysis. In 1964 Bishop Peter Zuccarini, Bishop of Bobbio, already named spiritual advisor of the Sisters of St. Gemma, added to the previous approvals that of being a Congregation of diocesan right. In 1966, the congregation expanded its horizons: four sisters were sent to Zaire, where, working with the Xaverian Fathers began their missionary work for the poor ‘ad gentes’. From these first steps that followed the foundation of the Sisters of St Gemma we see that the work of God through Mother Gemma Eufemia quickly flourished. But the flowers must be watered with sacrifices and sufferings, lest they wither and die, so God in His infinite wisdom arranged it to be so. In 1960 Mother Eufemia Gemma began a progressive long term paralysis due to crippling arthritis, which forced her in a wheelchair at first, then eventually she became completely bedridden and immobile, fixed to bed in sacrifice like her Jesus fixed to the Cross. Offering her sufferings for her Community and also especially for the conversion of sinners, she remained completely bedridden for the rest of her life. Thus began over a decade of physical and mental suffering, offered in union with Jesus. Recalling that when St Gemma was dying she had said that she [Eufemia] “would take her place on Calvary”, we see now how these prophetic words came to fruition. 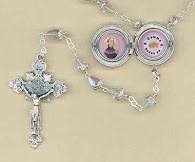 On August 26, 1971, when after having received Holy Communion and surrounded by her Community of daughters, Mother Gemma Eufemia flew to heaven to be with her loving God for all eternity. .
Because of their close friendship with St Gemma and her extraordinary example of love for God, the Catholic Church is now enriched by 2 Venerables (and soon to be saints?) -her spiritual “father” and spiritual director Venerable Father Germanus Ruoppolo CP and her close friend Eufemia Giannini-Venerable Mother Gemma Eufemia Giannini. May we who strive for a closer union with God also follow in the loving example of St Gemma. 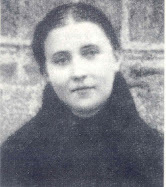 Mother Gemma Euphemia Giannini founded the “Passionist Sisters of Saint Gemma Galgani” in 1931. Their primary mission is prayer and sacrifice, in the spirit of St Gemma, care for the poor, and to take care of the places in the life of St Gemma Galgani, particularly the Giannini home where Gemma lived the last few years of her life, and also St Gemma’s birth home in Camigliano. She died on August 26, 1971, and in 1990 the canonical process for her canonization was officially begun. On March 15th, 2008 she was officially declared “Venerable” by Pope Benedict XVI. Thus, she is now officially “Venerable Gemma Eufemia Giannini”. Her feast day is celebrated on August 26th. ~St Gemma Galgani, Ven. Gemma Eufemia, and Ven. 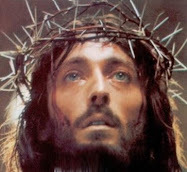 Germanus Ruoppolo pray for us!